The type C flat roof window is equipped with a double glazed unit with laminated internal glass which is anti-burglary P2A class as standard. Should the pane crack, shards of glass do not pose a danger but remain on the laminate film. The P2 glazing unit has an innovative and patent-pending dome installation system which increases its anti-burglary resistance. The dome is made of durable polycarbonate. It is characterised by high resistance to impacts and adverse weather conditions such as rain or hail. Special coatings on the outer and inner surface of the dome protect it against UV radiation. The heat transmittance co-efficient for the whole window is U=1.2 W/m2K (to EN 12567-2) which is as much as 14% better result than compared with other manufacturer’s windows of a similar size. The product range also includes a quadruple U8 glazing unit. Heat transmittance co-efficient for the whole D_C U8 window is U=0.72 W/m2K (to EN 12567-2) (U=0.55 W/m2K to EN 1873) and makes the window suitable for energy-efficient and passive buildings. The structure of the window enables installation of internal as well as external accessories. A patent-pending system of profiles enables the installation of the awning blind under the dome of the flat roof window, thus protecting the blind against damage as a result of strong winds etc. 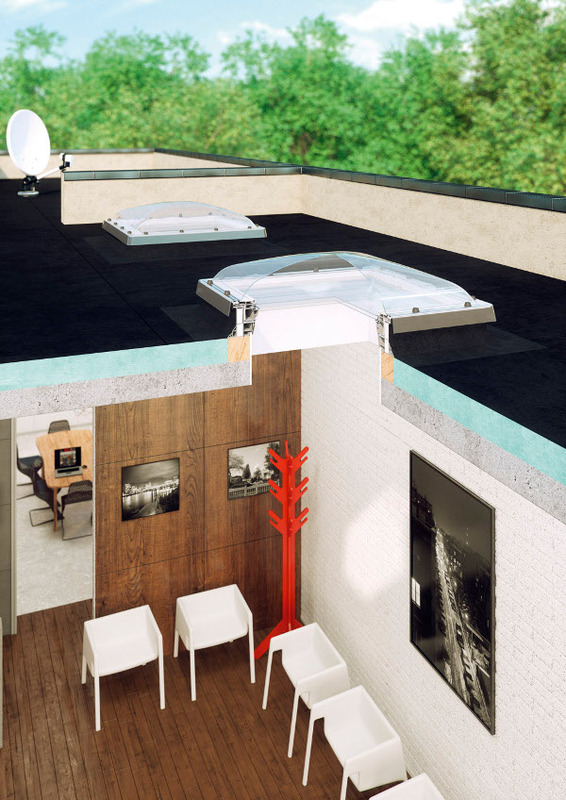 The type C flat roof window is suitable for roof pitches between 2 and 15 degrees. 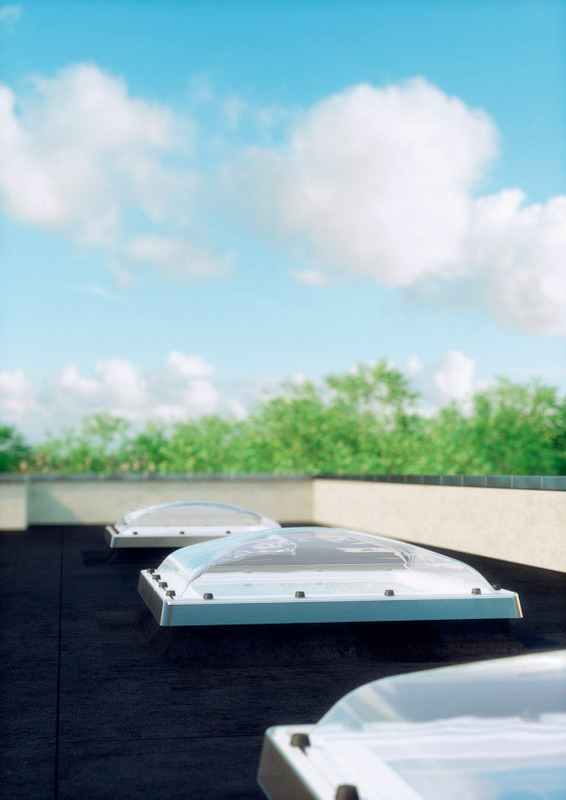 The wide range of sizes available has been matched to standard skylights, enabling the quick and easy replacement of an existing skylight for a new window.